How do I manage Course Settings? 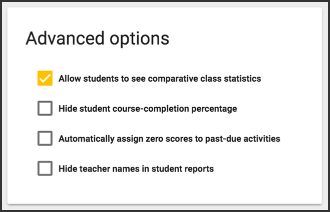 Course Settings allows you to manage course details like appearance, metadata, scheduling, and gradebook settings. Select Course settings from Tools in the toolbar. Recommended thumbnail file type: PNG or JPG (Buzz converts all files into PNGs). Ideal thumbnail size: 400px x 400px (Buzz automatically resizes images, so uploading images smaller than 400px x 400px may reduce quality). Term (this filed is titled School year if your domain has domain-level Grading Periods set up). Whether it's a Continuous course (if so, specify the number of Days the course should run for). Whether to Use agendas in this course. The minimum Passing Score in percents. The desired Passing score Grade Scale. The way(s) you want student performance indicated: Points, Percent (%), Letter grade, and/or Minutes spent. 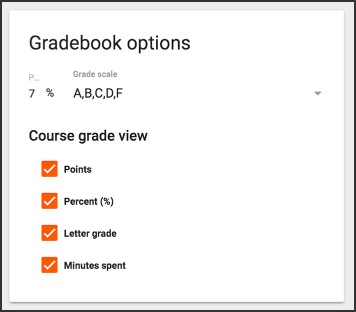 This option impacts Course Cards and the Grades/Gradebook tools. 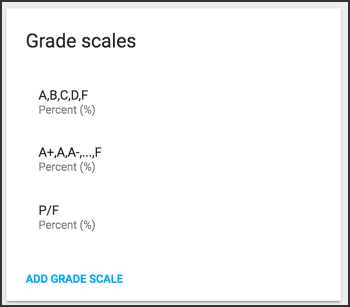 If you choose multiple formats, Letter grade takes priority, then Points, and then Percentage. Check the boxes next to the pre-existing outcomes that you want to track. 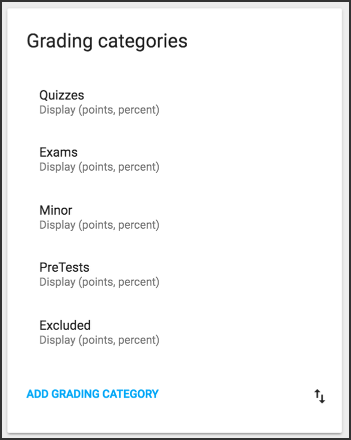 Grading Categories lists existing grading categories for editing and allows you to create new categories. Your system admins can set up domain-level Grading Periods for your courses to align to. Domain-level Grading Periods establish a current School year and current period that you can use to organize your own Grading Periods. If you are using domain-level Grading Periods, align your course Grading Periods one-to-one with the domain-level Grading Periods. 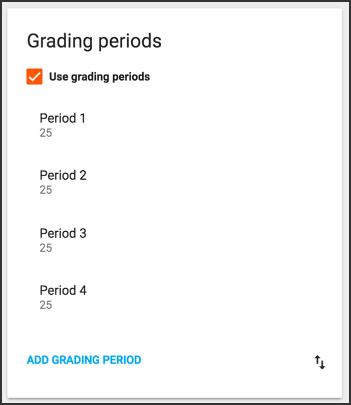 You are able to enable, create, define, and manage your own Grading Periods within your course. The grades for these periods can be finalized individually. The minimum Objective mastery threshold in percents. The Minimum number of questions that need to be aligned with an objective for a student to show mastery. 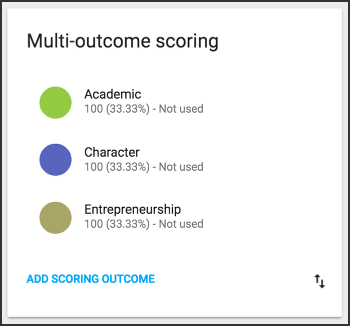 The overall Minimum score (%) a student has to earn on those questions in order to skip the activities meant to teach the objective. The Minimum number of questions that need to be aligned with an objective in order for Buzz to assess mastery. 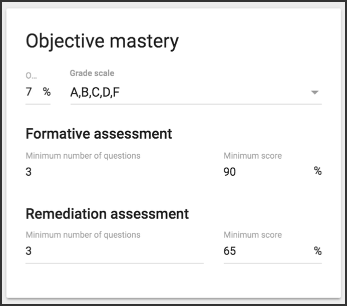 The overall Minimum score (%) a student can earn on those questions before receiving remediation activity suggestions. Create pass/fail, plus/minus, straight letter grade, and other Grade Scales to use for course and objective scoring. When auto-generating due dates, provide less time for activities that require only viewing. Only applicable in continuous enrollment courses. When unchecked, all activities are considered equally to calculate the time allowed for each and what due date to assign. When checked, activities that require only viewing get less time than other activities. NOTE: To create an activity that requires only viewing from the student, use the Assignment, Custom Activity, Rich-text, or Website link Activity types and disable the This activity is gradable option. Technical note: If you create activities through the XLI API, activities that require only viewing are non-gradable item’s whose type is AssetLink or Resource. NOTE: This functionality is not supported in BrainHoney, so you will need to reselect this setting when migrating courses from BrainHoney to Buzz. Course Links allow you to provide students with links to important course resources. 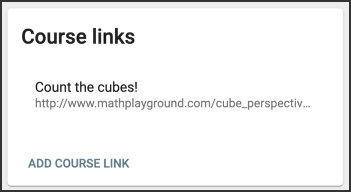 Students can access these links from the Course Links button in the Course Home (Activities tool) toolbar. Automatic when all items are complete; this option asks you to check or uncheck the Require course passing score box. 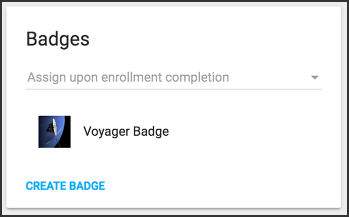 Automatic when all gradable items are complete; this option asks you to check or uncheck the Require course passing score box. 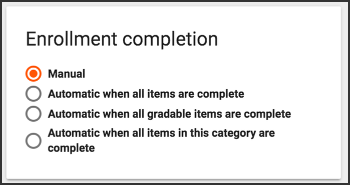 Automatic when all items in this category are complete; this option asks you to check or uncheck the Require course passing score box and choose the desired category from the dropdown. 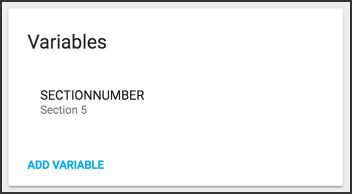 The Variables section allows you to create and manage replacement variables for the course. There's a video tutorial for this topic! 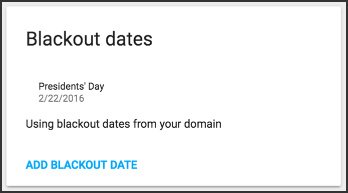 Blackout Dates let you Add, Name, and specify date ranges that you don't want included when Buzz calculates suggested due dates for continuous enrollment courses. These dates appear on your course calendar. Can I set course settings for more than one course at a time? For example, we would like to do a manual completion of all courses but it is time consuming to go into every single class to make that change. 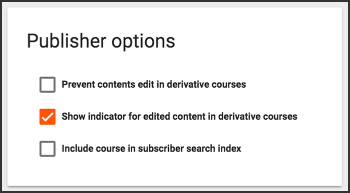 You can create a template course with the correct enrollment completion setting and then apply the template setting "Enrollment Completion" to multiple courses using the Courses tool's "Bulk Updates." I recently received questions about the time associated with the End Date. One would assume that the End Date is the last full day that the Student can access the course materials, but we have some examples of courses expiring around 12:30 AM on the date specified in the End Date field. These happen to be Continuous courses and the End Date is the Target End Date associated with a particular ST enrollment, but without a way to specify a time in the End Date field, I would think the logical expectation is for the course to be active through 11:59 PM on the date specified. Any advice on the time associated with the Course End Date or Student Target End Date? The end date time for enrollments created through the UI will use the UTC offset of the timezone the computer used to create the enrollment. If the enrollment was created in a different timezone than the student it will make the end time appear to be earlier or later for the student since the enrollment cannot determine the student's timezone but only the timezone of the creator of the enrollment. How do I add User Notes to courses, folders, and activities? How do I use the Teacher Dashboard? What assessment tools can I enable for my students? How do I create a Google Doc activities in Buzz? How do I create a Google Document Dropbox Template? How do I attach feedback to students' activities? How do I view past courses? How do I manage Master and Derivative courses? How do I use the Editor tool? How do I use my Buzz Calendar? How do I manage Domain Settings?